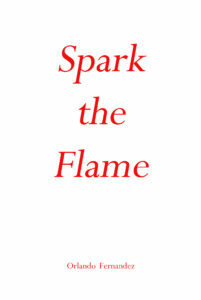 Spark the Flame is inspirational kindling. Every sentence is meant to ignite inspiration and uplift the reader. This book has evolved from my personal thought journals, and my spiritual, psychological, and scientific studies and experiences. I cannot quantify the amount of time, and effort, that I dedicated to ensure Spark the Flame remains small, yet powerful in its truth, boldness, simplicity, and foundational holism. Life is Yours – Your life is your freedom and your responsibility. Using the Brain – You can change your brain to improve your circumstances. Interconnectivity – Everything is connected. Theory of General Positivity – General positivity enables health and success. Exponential Potential – Human potential is beyond measure. Please share this book with anyone.